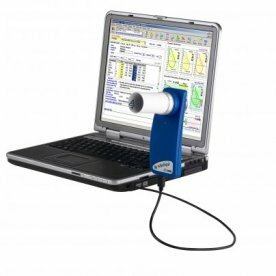 The Spirolab is a modern compact fully self contained spirometer with its own built in color touchscreen display, built in thermal printer and re-chargeable battery. 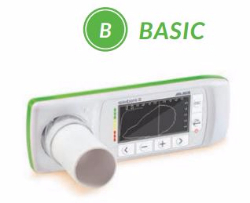 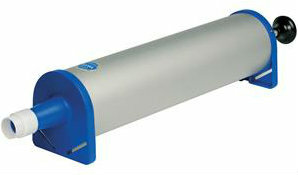 It measures over 50 different parameters including FVC, FEV1, FEV3 and Lung Age and stores over 10,000 spirometry tests. 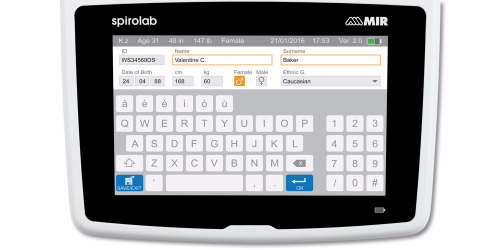 The Spirolab has automatic BTPS correction and a range of predictive values, it comes in a portable hard case with the option of reusable or disposable mouthpieces, reusable sensors and software / cables for downloading the data to your pc.